Kensington 51-Piece Flatware Set Just $29.99! Down From $75! PLUS FREE Shipping! You are here: Home / Great Deals / Amazon Deals / Kensington 51-Piece Flatware Set Just $29.99! Down From $75! PLUS FREE Shipping! Head over to Amazon to score this Kensington 51-Piece Flatware Set for just $29.99 down from $75 PLUS FREE shipping! The perfect starter set, International Silver’s Kensington Collection 51-piece set includes service for 8 and a 3-piece hostess set in versatile stainless steel with classic styling. 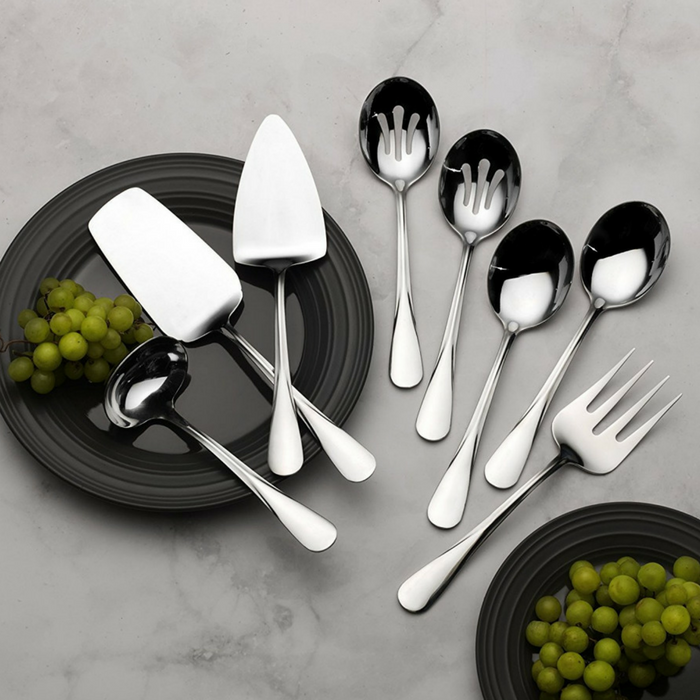 Bring a new level of simplicity and sophistication to your table with flatware from International Silver. This 51 piece set includes eight of each: salad forks, dinner forks, dinner knives, dinner spoons and teaspoons.